Daniel Ricciardo suspects minor changes to his set-up in final practice upset his Red Bull's balance ahead of qualifying for the Brazilian Grand Prix. 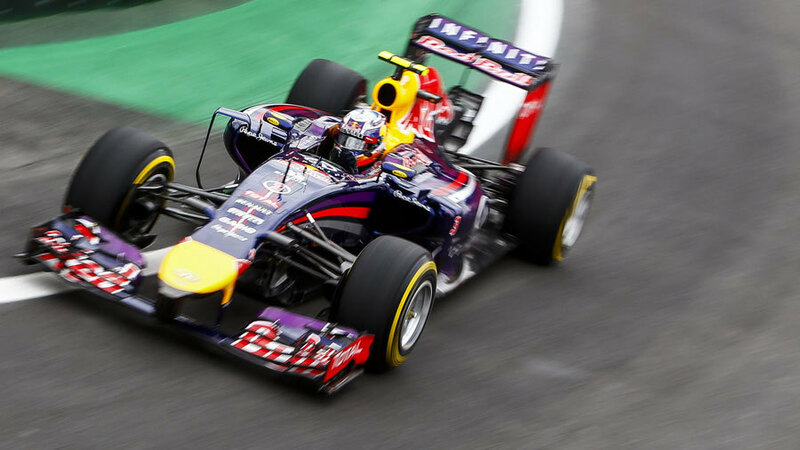 Ricciardo qualified ninth at Interlagos despite targeting the second row after the first two practice sessions on Friday. Conditions were cooler on Saturday and Ricciardo said he suspects a few changes in final practice sent him in the wrong direction while team-mate Sebastian Vettel found time and qualified sixth. "Seb was on the back foot all weekend and then found something in qualifying," Ricciardo said. "I know he played around with downforce a bit this morning and that was the wrong thing for him, but he came back and found some pace. We made a few adjustments before quali, but just small ones and some fine tuning because we were pretty happy with where we were. But it seems it made a massive balance change and definitely something we didn't expect, but whether it's for that reason or just something we didn't expect I don't know. Maybe the change we made then had an even bigger effect on that, we're still not quite sure. "It's a pretty frustrating session because we couldn't quite get on top of it and understand why. It's only a tenth to P5 but realistically we thought we should have been closer to Williams and fighting them." After Friday practice, Ricciardo said Red Bull's long-run pace was the best of the season but is now concerned it may also be effected. "We're definitely going to have a chance to move further forward than ninth. To be honest, our low-fuel pace was pretty good and our long-run pace was even better. The long-run pace, we hope because we are now slower on the short runs that it doesn't have the same effect on the long runs. I feel if the track is hot and hard on the rears as it was yesterday, I think we'll be better off. Obviously starting ninth we have a bit of work to do. Confident to move forwards but we would have liked to be a bit further up the grid."